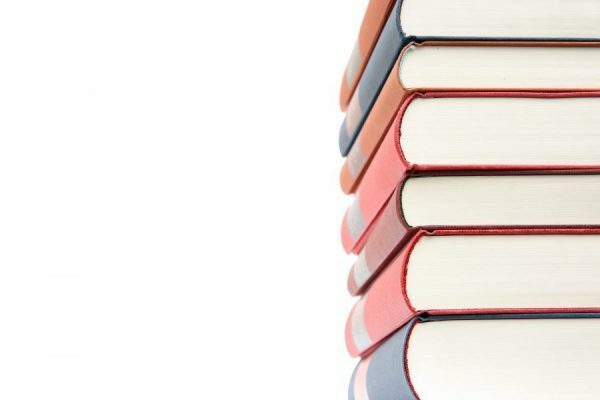 book-reviews – Learn. Grow. Expand. Telling Ain’t Training – Pt 7: Workplace Reference Guide? In short, Telling Ain’t Training is a valuable reference guide for anyone who is in a training or informal education setting. If for nothing else, the authors do a fantastic job explaining why SMEs don’t always make the best teachers and providing guidance around how to get them where they need to be. Additionally, the chapter(s) on technology provide some critical and salient advice about what to keep in mind when deciding if your training will benefit from technology, most notable the potential benefits and the pitfalls you might run into. You can pick up a copy on Amazon here. If you’re looking for activities that you can incorporate into training or adult learning sessions, I highly recommend Marcia L. Tate’s Sit and Get Won’t Grow Dendrites: 20 Professional Learning Strategies That Engage the Adult Brain (you can buy it here on Amazon). Since starting the Masters of Education program at CSU, I have been introduced to a number of literary resources. Last semester, I fell in love with Ralph Brockett’s Teaching Adults: A Practical Guide for New Teachers for it’s down to earth style and, as the title implies, practical implications. 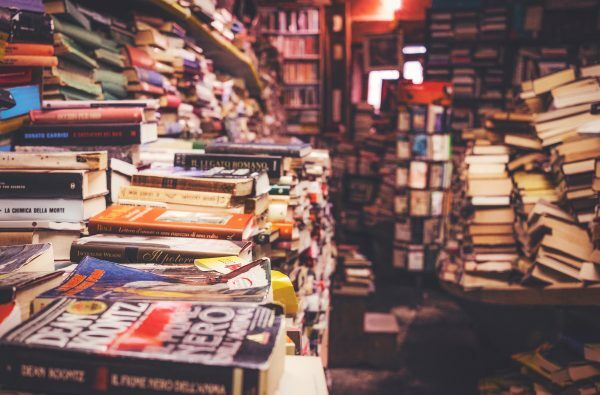 With each new piece of information I read, I found myself reevaluating the way I had been approaching the task of teaching, and more importantly, the way I interact with my audience. The Courage to Teach takes a holistic approach to becoming an educator. Whereas Brockett focuses on how you perceive your students and how they perceive you, Palmer delves much more deeply into why you, the individual, is standing in that classroom and how you, as part of a larger teaching community, can learn and grow from the relationships you forge wherever you go. Although Palmer is speaking about his experience as a teacher, much of what he touches upon is relevant to all fields. As I read through each chapter, I found myself stopping to discuss sections with my husband, who is also struggling to find satisfaction in his career. A concept that struck me was what Palmer calls “self-violence”. Until recently, I loved my job. I was eager to go in each day and often stayed late. I felt as though what I was doing made a difference and I would argue wholeheartedly with anyone who disagreed. Two years ago, however, that all changed. I was doing the same work, but under different circumstances, in a swiftly changing environment and I felt as though I couldn’t stand behind the work I was doing. I knew that I wasn’t doing my best and I knew that to some degree, I had thrown my hands up and checked out. My supervisor and I tried everything we could think of – but the truth of it was this: the job I was doing no longer felt true to who I was and wanted to be and it showed. Much like the Eric in The Courage to Teach, it showed in my tone, in my attitude, in my temper. After two years of struggling with the idea, I decided to leave the company and find another job. I did, but in doing so I realized that I was just falling back into the same routine. I was sticking to what I was good at, what would help me pay my rent and put food on the table but did nothing for the nourishment of my soul. So what was it, exactly, that I was looking for? I had been entertaining the idea of going back to school but having graduated undergrad with no debt, I was hesitant to take out student loans. Now, here I had quit my second job in three months and already, my application was under review. This program, I decided, was going to be me, taking a chance to find a balance between material needs, the thirst for continued learning and the spiritual fulfillment of doing what I love on a daily basis. The following quote, just a few pages into the book, had me nodding my head enthusiastically in agreement. Palmer states that “In a single stroke, we delude our students into thinking that bad prose can turn opinion into facts, and we alienate them from their own inner lives (pg 19)”. As a result of the proliferation of ‘objectivism’ in our daily lives, in order to be taken seriously, we find it necessary to distance ourselves from our subject matter. We are taught to frame situations with you, them, or the ever so formal one but never I, never me. Those are much too personal and undermine your sense of authority, marking those self identifying pronouns as off limits in corporate literature or academic papers. Note that, depending on your environment, you may simply run out of pronouns altogether; the use of ‘you’ can been see as accusatory, the word ‘them’ as offensive and ‘one’ as elitist. We dance around syntax and fight to be so neutral that we completely remove the individual from the situation. The problem with this approach, as Palmer points out, is that teaching – and learning – is a wholly personal adventure and that self identity is an integral part of developing individuality in the academic setting. 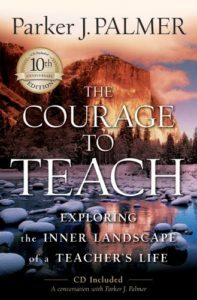 This exploration of self is a common theme throughout The Courage to Teach– the art of teaching does not rely solely on technique. In fact, with the absence of authenticity, self reflection and the support of community, a truly effective teacher cannot exist. As the book progresses, Palmer speaks about why this objective separation occurs, why we distance ourselves from our students and our environments. On this, he says “Because academic culture knows only one form of conflict – the win-lose form called competition, we fear the live encounter as contest from which one party emerges victorious while the other leaves defeated and ashamed (pg 38).” This is true of our encounters with students, colleagues, even neighbors and friends. We are afraid of having our ignorance exposed and subject to scrutiny, especially in a situation where we are restrained in our response by our institution or personal affiliations. Furthermore, this form of intellectual challenge incites a fear that we may learn beyond what we are comfortable knowing and therefore be compelled to changed. For this reason, we hide behind objectiveness to mask our fear of ignorance. However, by separating ourselves from the subject, our content and our audience, we miss the inherently personal nature of what we do. When I was just starting out in the hospitality field, I was put in charge of training new hosts. My manager pulled me aside one day and said ‘never be afraid to teach people what you know’. That piece of advice still sticks with me 10 years later. I didn’t know it then, but he was speaking to that same fear. What if I’m wrong? It’s a question I ask myself often. As a by-product of taking up yoga, I started to truly think of it as so what if I’m wrong? Instead of leaning towards panic, I try to move towards analyzing that fear to find the root of it and inviting conversation with my peers. An academic institution is a repository of immense knowledge, sequestered behind the same walls that we ourselves have built. The same can be said for a corporate training environment where keeping knowledge to yourself is the way to get ahead. However, we all come from different backgrounds and have unique perspectives that can be used to build a knowledge community. Instead of perpetuating an ‘every man for himself’ mentality, Palmer suggests that educators have the opportunity to support one another as a community. This process can even be used to engage students in these activities with the intention of improving the field of education and encouraging the development of what he calls “new professionals”. Despite arguments to the contrary, Palmer believes that “If community is to emerge, it will have to be in the midst of inequalities whenever two or three are gathered (pg 141).” There are those who think that a community must be built of equals, but we know that this isn’t the case. There are companies who build their culture on open communication and interdepartmental support. These companies are led by someone – there’s a person in charge who ultimately calls the shots. That doesn’t mean that the intellectual contributions of the employees are irrelevant. Finally, I would like to take a moment to speak about the importance of freedom of thought. Both John Dewey and Parker Palmer stress the need to educate students in such a way as to encourage critical thinking and independent thought. In the last chapter, Palmer says that “we need professionals that are ‘in but not of’ their institutions, whose allegiance to core values of their fields calls them to resist the institutional diminishment of those values (pg 204).” In the same vein, Dewey states “The only freedom that is of enduring importance is freedom of intelligence, that is to say freedom of observation and of judgement” (Dewey, 1938, p. 61). There is a need for critical and creative thinkers who are able to maintain integrity while asking the challenging questions. If we hope to see continued innovation in the field of education, then we must encourage those traits in our students.